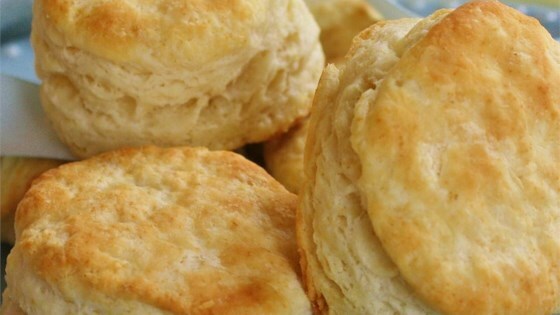 "This recipe makes fluffy, light, and tasty biscuits." Sift flour and baking soda together in a large bowl; cut in shortening with a knife or pastry blender until mixture resembles coarse crumbs. Make a well in the center of the mixture and stir in buttermilk until a soft ball forms. Turn the dough out onto a lightly floured surface and knead for 2 to 3 minutes. Roll dough out to a 1/2-inch-thick rectangle. Cut biscuits out with biscuit cutter and transfer to a baking sheet. Bake in preheated oven until tops are light brown and sides begin to darken, about 10 minutes. Remove biscuits to cool completely on a wire rack.